The Amador County Friday Night Live Youth Council is working with all local law enforcement agencies to provide training on TRACE. TRACE stands for Target Responsibility for Alcohol Connected Emergencies. What this means is that any time there is an alcohol related emergency involving a minor, including but not limited to vehicle accidents, sexual assaults, and battery, (it does not have to involve death), the local law enforcement agency which responded to the call simply contacts the California Department of Alcoholic Beverage Control who comes out and conducts a simultaneous investigation that will TRACE the alcohol furnished illegally back to the adult who provided that minor with alcohol. Amador County’s Friday Night Live chapters provide skill development, positive youth –adult relationships, leadership building, as well as countless opportunities for community engagement all of which are FREE for youth of all ages in a safe and drug-free environment. If you or someone you know is interested in joining Friday Night Live and helping make your community a safer place to live , please contact the Amador County Friday Night Live Youth Activities Leader, Tommy Webb, by email at twebb@atcaa.org or by phone at 209-223-1485 ext. 268. 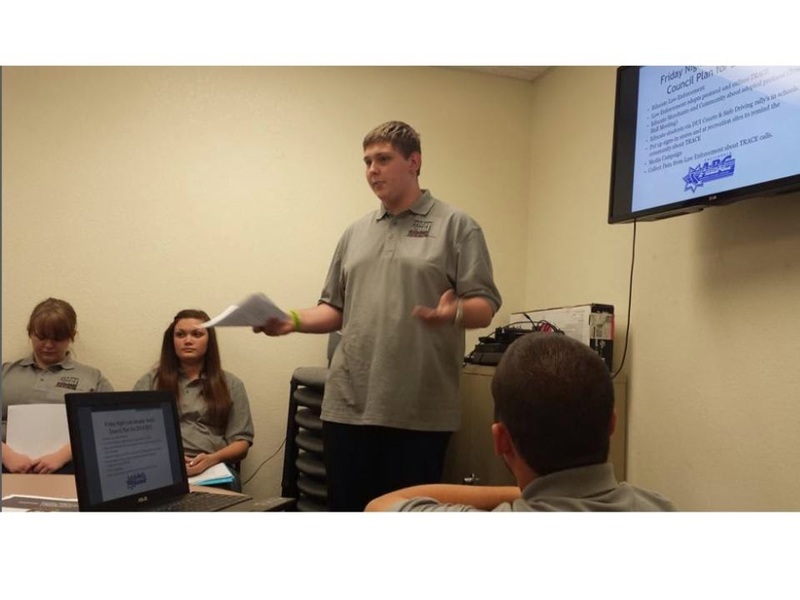 Amador County Youth Council Member Dale Gundy gives his part of the presentation to local law enforcement agencies. 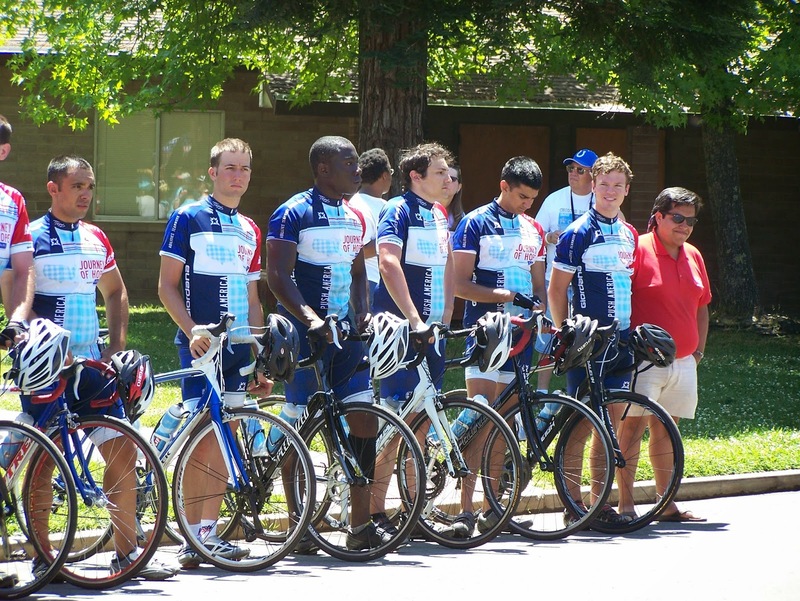 Arc of Amador and Calaveras is proudly hosting the members of PUSH America as they cycle throughout the US. They will be visiting Amador County on Tues June 3, 2014, with a 26th annual welcoming picnic at St. Sava’s Mission from 11:00am to 2:30pm. The Journey of Hope is a program of PUSH America, the national philanthropy of Pi Kappa Phi Fraternity, which raises money and awareness for people with disabilities. The Journey of Hope teams consist of men from Pi Kappa Phi chapters across the country. The teams cycle an average of 75 miles per day, beginning in San Francisco and ending in Washington DC. The ceremony at St. Sava’s Mission is to celebrate the team’s arrival as they enter Amador County to support the Arc of Amador and Calaveras. Hundreds of family and friends will be there to welcome the cyclists. The event is free and the public is encouraged to attend. In 1987, one man’s dream of riding his bike across the country came true. What he did not know was the inspiration and motivation his trek across country would give to PUSH America. The very next year his ride inspired PUSH America to create the largest fraternal fundraising and awareness event of its kind, the Journey of Hope. Today the Journey of Hope covers 32 different states, cycling over 12,000 miles combined. It is solely comprised of members of Pi Kappa Phi and continues to spread a message of acceptance and understanding for people with disabilities. Pi Kappa Phi is the only national men’s fraternity to establish and maintain their own service project. Fraternity members have raised over 10 million dollars for PUSH America since 1977. Information about the Journey of Hope and the many accomplishments of PUSH America can be found on their website at www.pushamerica.org. For the team of over 70 cyclists, the real journey will not be on a bike, but spending time with the Amador and Calaveras residents for whom they are riding. These men are striving for community inclusion of people with disabilities and are helping to break the barriers of society that keep people of all abilities from living life to the fullest. 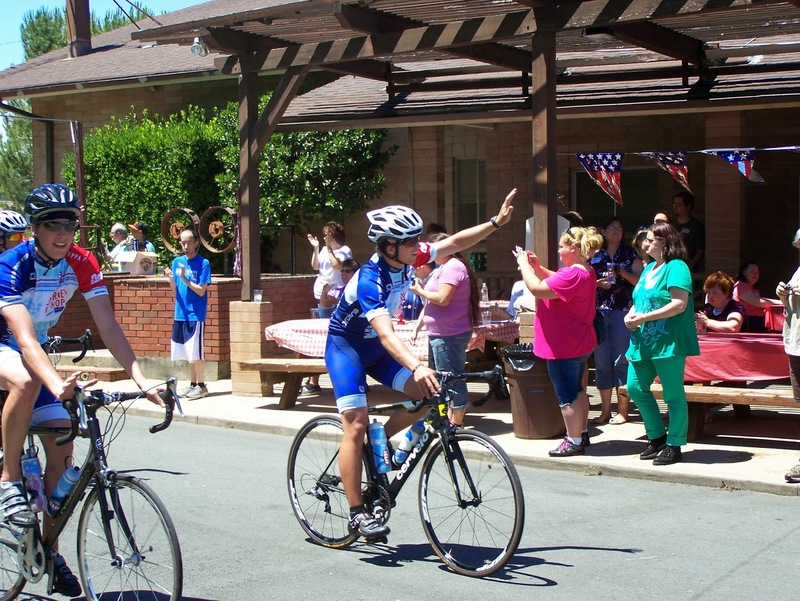 The Arc of Amador and Calaveras strongly encourages everyone to come out to St. Sava’s Mission to not only meet the incredible men cycling in the Journey of Hope, but to meet the clients and employees of the Arc. Learn how you can join these men in making a difference in the lives of your neighbors. 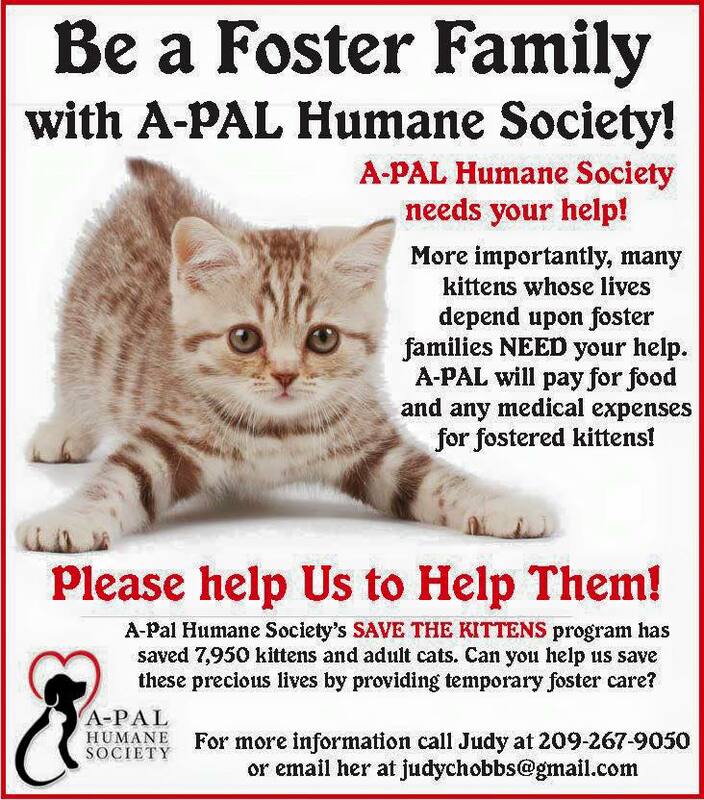 For additional information, to become a sponsor, volunteer, or to get involved: Contact the Arc of Amador and Calaveras at (209) 267-5978.